"CAROUSEL will be 50 next year, but as of this morning it is the freshest, most innovative musical on Broadway." So wrote David Richards in the New York Times on Friday, March 25. The evening before, a new production of Rodgers & Hammerstein's CAROUSEL had opened at the Vivian Beaumont Theater, Lincoln Center, and was greeted with a rousing ovation from critics and public alike. "CAROUSEL is breathtaking, a mesmerizing revival that startles and startles and then startles again," wrote Jeremy Gerard in Variety. "Indeed, CAROUSEL surely ranks with Hal Prince's new SHOW BOAT reprise as the most eye-opening, not to mention eye-popping, revivals in an era flooded with them." Laura Shapiro and Marc Peyser in Newsweek proclaimed it "Heaven on earth...a revelation." Howard Kissel in the Daily News declared, "It takes your breath away," Michael Kuchwara of Associated Press said that this production "will be the model for years to come," Chicago Tribune's Richard Christiansen called it "an amazing rediscovery of a work of art," and the Boston Globe's Kevin Kelly hailed it as "a stunner, a benchmark." For some time, CAROUSEL was the Rodgers & Hammerstein musical most overdue for a major revival. 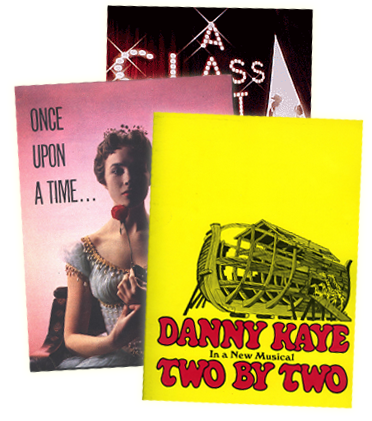 While various plans had been considered by Broadway and West End producers alike, this "defining CAROUSEL" (in the words of New York Post's Clive Barnes) began its life, of all places, at London's Royal National Theatre. Directed by Nicholas Hytner, designed by Bob Crowley and choreographed by Sir Kenneth MacMillan, who tragically succumbed to a heart attack less than one month before the opening, CAROUSEL opened at the National in December 1992 to critical acclaim. The three-month limited run quickly sold out, and the musical received a host of London theatre awards. The genesis of this production can be traced to the extraordinary British producer Cameron Mackintosh, who has consistently responded to his phenomenal successes in the musical theatre by giving back to the art form. In 1990, Mackintosh created a foundation to encourage the musical theater in many aspects, most prominently to foster the staging of classic musicals at the National. CAROUSEL was everyone's first choice for the inaugural production, and armed with the task of securing the rights, Mackintosh and Hytner met with the Rodgers and Hammerstein families at Dorothy Rodgers' New York apartment in the autumn of 1989 to present their vision. Exactly four years later, in September of 1993, it was Mackintosh who transferred the National's CAROUSEL to the Shaftesbury Theatre in the West End, where it received a fresh wave of critical raves. In December, First Night Records released the London cast album in the U.K., and RCA Victor began distributing it in the U.S. earlier this spring. The National had not been the only theatre company with an eye on CAROUSEL, however; when André Bishop joined New York's esteemed Lincoln Center Theater as artistic director two years ago, one of his first proposals was to mount a production of CAROUSEL there. "I felt it was a show whose time had come," he recently told New York Newsday. "But when I went to see it at the National, I thought it was the way the show should be done." As a result, Lincoln Center Theater offered CAROUSEL a home on Broadway. Preparations for the New York production began more than a year before the opening. Crowley's designs were reconceived for the unique configur-ations of the Vivian Beaumont Theater ("It will look as if it were designed for the Beaumont and nowhere else," he promised Theater Week), while Hytner and Jane Elliott (who was staging MacMillan's choreography) began the arduous but exhilarating casting process. "I wanted, and got, real folk on stage," Hytner told Theater Week. To Michael Sommers in the Newark Star Ledger he elaborated: "American performers instinctually have the ability to express real meaning, not just through the spoken word but also through song and movement." He chose an outstanding cast with a vast range of experience, from fresh recruits right out of Juilliard to Broadway veterans. The sense of this company too is vibrant and contemporary, with ethnic diversity throughout. Billy Bigelow is played by Michael Hayden; a 1992 graduate of the Juilliard School at Lincoln Center, Hayden had played Billy in the original National production, and in the West End transfer, and has now returned full circle to Lincoln Center. His Julie is Sally Murphy, Rose of Sharon in Steppenwolf's Tony Award winning GRAPES OF WRATH; Eddie Korbich, a veteran of New York musicals, is Enoch Snow and Audra Ann McDonald, a '93 Juilliard graduate, received star-making reviews for her portrayal of Carrie Pipperidge. Fisher Stevens, star of Broadway (TORCH SONG TRILOGY, BRIGHTON BEACH MEMOIRS) and Hollywood (SHORT CIRCUIT, THE FLAMINGO KID) took on the role of Jigger, and internationally renowned mezzo-soprano Shirley Verrett is making her Broadway debut as Nettie Fowler. Alumnae of Manhattan Theatre Club, the Goodman Theatre, American Ballet Theatre, New York City Ballet, Dance Theater of Harlem, the Joffrey and the Feld Ballets were also among the company of 44. Diversity is represented in the producers' circle as well, in a unique mixture of profit and non-profit, contemporary know-how and classic tradition: Lincoln Center Theater, one of this country's leading non-profit theater companies, working in tandem with one of Britian's leading theatre companies, the Royal National Theatre, joined by Cameron Mackintosh, the most successful theatrical producer in the world today, and The Rodgers & Hammerstein Organization, founded half a century ago by the most successful team in Broadway history. The combination worked. CAROUSEL began previews on February 18 and from the start, audience response was electrifying; standing ovations concluded nearly every performance and, particularly in the emotional final scenes, the "sniffle level" (in Mary Rodgers' words) was very high. The weather on opening night, March 24, was unexpectedly balmy, and the cast party at Central Park's Tavern on the Green carried on until well after one in the morning. Advance word of mouth indicated that CAROUSEL would do just fine. Over the next 24 hours a set of reviews in the morning's papers - the best for a musical in several seasons - combined with long lines and record-breaking business at the box office, confirmed the news: CAROUSEL was a major hit. A week later, Vincent Canby made his own declaration in a New York Times "Arts & Leisure" front page rave review: "CAROUSEL lives," he said. "Rodgers and Hammerstein are back on Broadway where they belong."